LAURA GELLER. NEW UNSEALED PRODUCT MAY HAVE SHELF WEAR / NWOB / TIP IS SWIPED AND/OR NICKED. 1 STAIN 0.09oz EACH. LASTING LOVE. ITEM AS DESCRIBED. SHADE: Hibiscus Pink, a sheer sultry pink. LAURA GELLER. NEW UNSEALED PRODUCT MAY HAVE SHELFWEAR / NWOB. HIBISCUS PINK. LIP OIL TINT. ITEM AS DESCRIBED. LAURA GELLER Lip Stain in BITTEN BLUSH (champagne gold) .09oz Full Sz FREE SHIP! 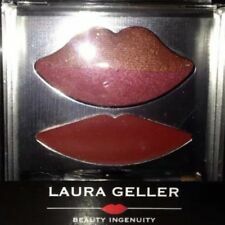 LAURA GELLER Lip Stain CRIMSON CRUSH (deep wine) .09oz Full Size - FREE SHIP! LAURA GELLER Lip Stain. 0.09 oz (2.7 g) Full Size. CANDIED APRICOT. LAURA GELLER. NEW UNSEALED PRODUCT MAY HAVE SHELFWEAR / NWOB. LIP OIL TINT. ITEM AS DESCRIBED. LAURA GELLER. NEW UNSEALED PRODUCT HAS SHELF WEAR / NWOB. SOFT PEACH. LIP OIL TINT. LAURA GELLER Lip Stain FLIRTY FUCHSIA (berry stain) .09oz Full Size FREE SHIP! LAURA GELLER Lip Stain. in FLIRTY FUCHSIA (berry stain). 0.09 oz (2.7 g) Full Size. LAURA GELLER. NEW UNSEALED PRODUCT HAS SHELF WEAR / NWOB. CHERRY BLOSSOM RED. LIP OIL TINT. ITEM AS DESCRIBED. SHADE : PINK ROSE - FUCHSIA MAGENTA. LASTING LOVE LIP STAIN. Laura Geller Lasting Love Lip Stain Pink Rose 0.09 oz. Item Condition. We try to provide all known information. LAURA GELLER. NEW SEALED PRODUCT HAS SHELF WEAR / NWOB. SOFT PEACH. LIP OIL TINT. Laura Geller Love Me Dew Lip Crayon "Watermelon Cooler" NEW! The convenient chubby stick design makes application effortless! From Laura Geller. 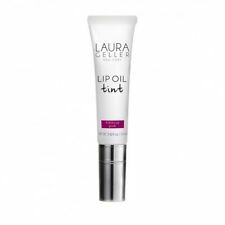 Laura geller lip spackle. Lip Primer. Cloudless AUTHENTIC. New unused.